You do not have to boil your greens for hours; in fact, doing this pulls nutrients out of them. Save time and nutrients by cooking greens for an only one-half hour. Makes 6 servings. 1 cup per serving. Place all ingredients except greens into a large pot and bring to a boil. Prepare greens by washing thoroughly and removing stems. 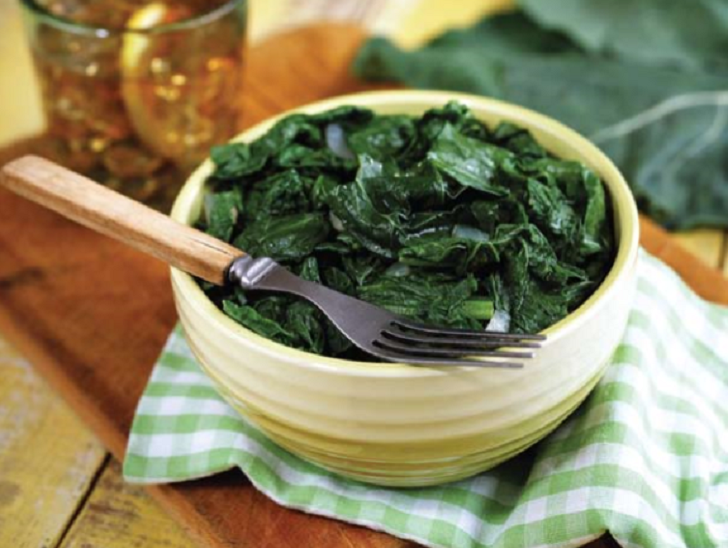 Tear or slice greens into bite-size pieces. Add greens to turkey stock. Cook 20 to 30 minutes until tender. Serve while hot.